ngineering plastics are key to German company BASF's growth in Asia, especially since opportunities abound in various sectors of the industry. It is for this reason the chemical giant will be pumping up its compounding capacity for engineering plastics at its Pudong plant in China to 110,000 tonnes/year by 2015 and in South Korea, by an additional 13,000 tonnes/year. To get a closer look at the business, PRA recently spoke to Andy Postlethwaite, Senior Vice-President, Engineering Plastics Asia Pacific. Andy succeeds Hermann Althoff, who has returned to BASF's headquarters in Ludwigshafen to take over the position of Senior Vice-President, Polyamide & Intermediates. Andy started his career with BASF in New Zealand in 1986 and has held several key management positions in Singapore, Malaysia and China. 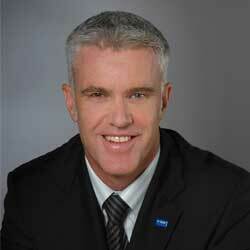 His most recent position was as the Head of BASF's Nutrition & Health business in Asia Pacific, based in Hong Kong. He graduated from the University of New England in Melbourne, Australia, with a Masters degree in Business Administration. PRA:What experience do you bring to the unit and how can this be utilised to broaden the unit's scope? Andy: I have been with BASF for over 20 years, the last 12 years being in Asia, including over six years in China/HK, so I know the region quite well. I can say that I am very much looking forward to my new area of responsibility. The wide array of products in engineering plastics is making a major contribution to developing solutions to meet the challenges of the future. When it comes to saving resources, climate protection, construction and mobility, engineering plastics is certainly one of the key materials of the future. It is interesting and exciting to see all of the possibilities with engineering plastics and how it can be used to improve final products. Be it for cars, appliances, even furniture, everything keeps getting lighter, smaller, more durable, sturdier and better and engineering plastics can contribute here. This is still a new technology for many parts of Asia and we see significant growth opportunities. PRA: How do you see the engineering resin business growing in Asia and which sectors are continuing to generate interest for BASF? Andy:There is considerable growth potential for engineering plastics in Asia. The main reasons are the so far unexploited opportunities for metal replacement in cars and trucks but also in household appliances and many other applications. Growth in Asia will be driven by the increasing usage of engineering plastics in industry segments like electrical & electronics, construction and especially automobiles. Car producers are under pressure to build more fuel efficient cars with lower emissions. The answer is to build more light weight cars and this can be achieved by replacing metal parts in the powertrain, exterior and interior of the car with high performance engineering plastics. These materials are an integral part of complex, high-value, high-performance automotive systems and make a significant contribution also to the performance, safety and comfort of modern motor vehicles. Engineering plastics markets were growing at healthy rates especially in Asia and we are optimistic about the long term potential of the engineering plastics industry. We are developing engineering plastics applications together with our customers in our technical centres. Our customers rate product performance and parts development support as very important. We are committed to a long-term partnership with our customers. PRA: BASF is increasing capacity for engineering plastics in China and in South Korea. Which sectors will the additional capacity for Ultramid PA and Ultradur PBT compounds from both plants be channelled to and in which countries? Andy: In recent years, we have successfully developed many new applications for our customers, especially in the automotive and electrical/electronics industries. We are convinced that we will continue to drive this trend. These plants will supply to customers all over the Asia Pacific region although the primary focus will be their respective local markets, for example Pudong will largely supply the Chinese domestic market (80% China, 20% export). PRA: Since the Indian automotive market is growing in leaps and bounds, does BASF have any plans to expand compounding capacity there and what is the outlook for this market in India? Andy: We do see good opportunities in the Indian market, but at the moment there is no plan to expand the capacity in India. PRA: Sustainability was a major focus for BASF at the recent Chinaplas show in Guangzhou. How is sustainability being applied in BASF's engineering resins business? Andy: We are working on solutions for alternative energy markets. Just as an example, at Chinaplas 2011 we introduced products for the solar energy industry. To collect and transport electricity to the consumer, photovoltaic plants require junction boxes and connectors. For such parts certain safety requirements apply in terms of fire behaviour of the materials employed and the articles made of them. The overriding objective is to protect the lives and health of people as well as property and the environment. BASF supplies two grades of polyamide: Ultramid A3XZG5 for junction boxes and Ultramid A3X2G5 for connectors. These glass fibre-reinforced engineering plastics are highly stable, flame-retardant, resistant to heat deformation and dimensionally stable, which is essential for the durability of parts exposed to the elements such as rain, heat, chemicals as well as impact from stones. Further, Ultramid has excellent impact resistance at -40°C and fulfills the safety regulations of the American Underwriters Laboratories (UL) standard 1703. This is important as without this requirement companies cannot use the material for solar junction boxes. PRA: Does BASF have any plans to follow suit and expand its eco-range, other than Ecovio and Ecoflex? Andy: Yes, we have Ultramid Balance. It is a bio-based polyamide 6.10. One of the raw materials for production of Ultramid Balance is sebacic acid, which is derived from castor oil. Thus, over 60% of the base polymer comes from renewable resources. Recently we introduced four new glass fibre-reinforced materials that complement our range of Ultramid Balance. They differ from conventional polyamide 6 (PA6) and 66 (PA66) by having a lower density and reduced moisture uptake. Two properties in particular make this material a worthy competitor to other long-chain high-performance polyamides such as PA 6.12 or PA 12: its hydrolysis resistance, i.e. its great resistance to hot water and steam as well as its resistance to environmental stress cracking when exposed to aggressive chemicals. Above all, its resistance to calcium chloride, which is used in Asia as road salt, and zinc chloride, which can form on car bodies, should be pointed out. Compared to PA 66, the material has not only greater dimensional stability, but also exhibits only a slight difference in mechanical properties between the dry and conditioned states. It is stronger, stiffer and has a higher heat deflection temperature than PA 12. The three new grades in the Ultramid S Balance line are especially well-suited for overmolding of metal and electronic components that come into contact with aggressive fluids. They are also of interest for housings and transmission components where dimensional stability is a major factor. Connectors, tubing and reservoirs in coolant circuits that must satisfy demanding requirements for hydrolysis resistance represent an additional field of application. The material has already demonstrated its performance capability in wheel speed sensors that are exposed to water spray and can be attacked by road salt. Other possible applications include oil pans and oil filter housings as well as for radiator end caps. PRA: In your opinion, is the market concerned about the price differences between commodity and engineering resins? Andy:With high-performance engineering plastics we enable our customers to differentiate themselves in the market. We can tailor our engineering plastics according to our customers' requirements, which can be used only for special applications. The price is then determined primarily by the value of the overall service to the customer. Thus in engineering plastics, BASF is developing its position in the market by superior technology and products. In accordance with this we are concentrating our portfolio on products that we, with our knowledge, can supply with better properties and at a better cost/performance ratio.